Just Julie B's Stampin' Space: Two Cool Owls! 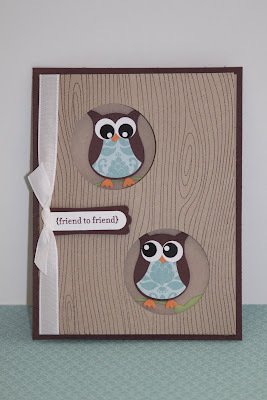 I'm finally using the Woodgrain Background stamp!! 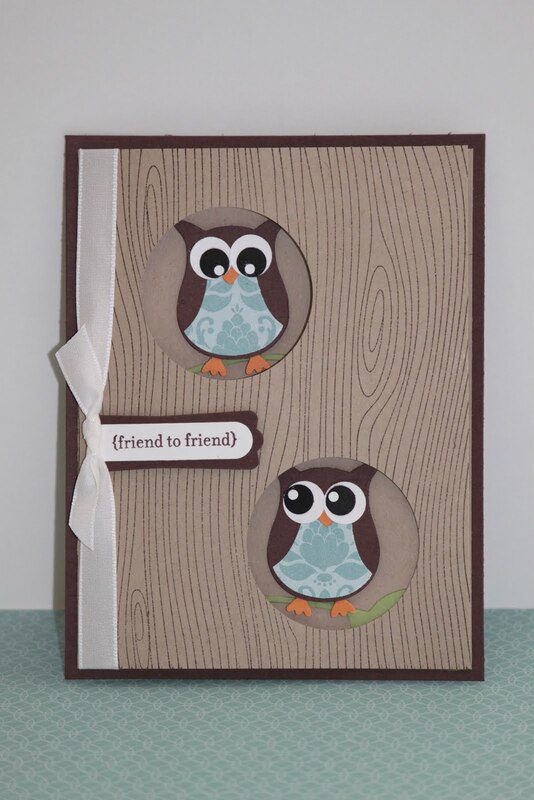 I bought the stamp with a card like this in mind, but just hadn't made one yet. Now, here it is! 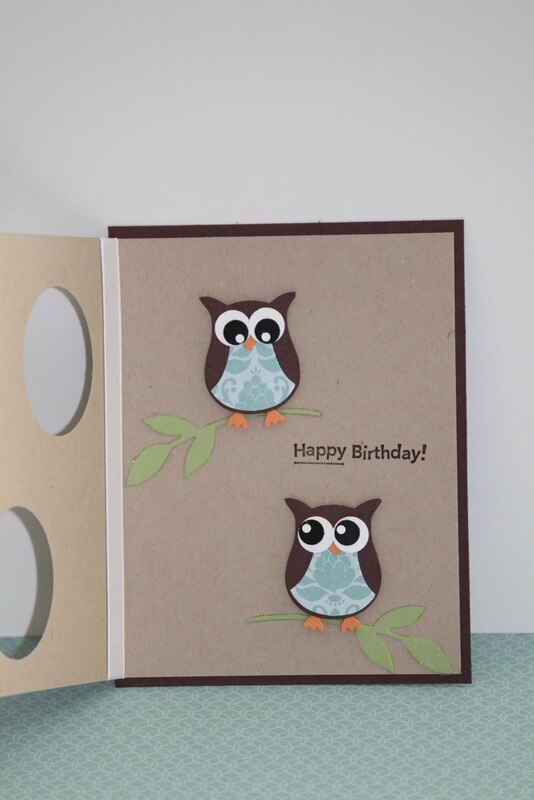 I wasn't sure I wanted the owl punch, and then after I got it I knew I needed the Woodgrain background to make this "hole in the tree" kinda card! Here's the inside - which doesn't leave a lot of room to write, but I like it anyway! Cute card. Love that owl punch! AH!! This card is too cute!! So glad I finally order the owl punch lol!